Today’s students have numerous gadgets in their pockets and backpacks – primarily smart phones, tablets, and laptops. Yet, have we considered how we could utilize these tools in faith formation? Perhaps you are just getting curious about how you could use these tools with your students. Augmentation is still substitution, but you get a little more functionality for your time. Let’s say your pupils are drawing using Photoshop. The process may be easily editable (they don’t have to start from scratch) and quicker, so there are gains, but fundamentally the student is still completing the same assignment: drawing a picture. Modification is where technology begins to change the way a task is taken on. For example, making audio recordings or videos of presentations so they can be referred to later or shared with absent classmates. Redefinition is where technology really comes into its own. Here, the way a subject or task is managed is fundamentally changed. This could be the use of video conferencing to work collaboratively with classes across the world, or students creating story walks in the community where the narrative and instructions to reach the next point of the journey can be downloaded to iPads at certain GPS points. Substitution or Augmentation styles of using technology really do not improve or change what we do in the classroom. Overall, we have access to a tool and use it instead of a pencil or it simply replaces how we do the task. The task at hand with today’s technology is to engage our students in participating as Digital Disciples to share their faith with others. 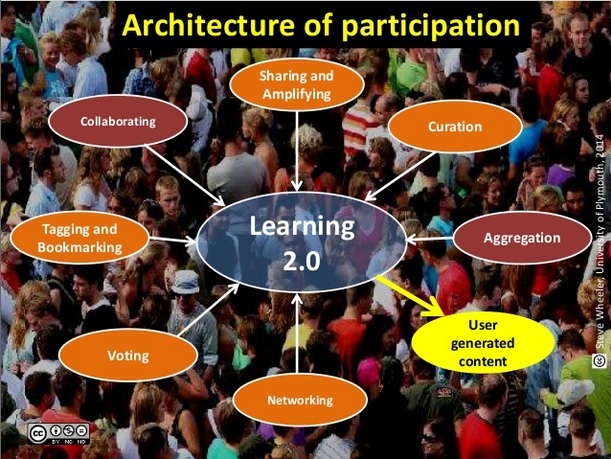 The Architecture of Participation offers us new ways to consider using Web 2.0 learning technologies. Am I facilitating a learning experience so that my students are able to learn more about their faith in a digital world? Are they able to curate online materials so that they are able to identify reliable Catholic Internet content? After all, they often search for their information online! Do I engage my students in using social bookmarking tools to tag and bookmark available digital resources? Could this be an opportunity to begin creating their lifelong digital library for faith formation? Are we using news aggregator tools to follow faith news in blogs, online newspapers, podcasts and video blogs (vlogs)? Are we aware of current church news? 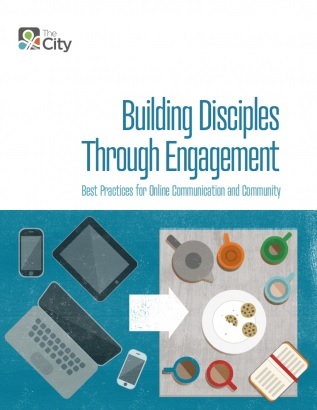 Am I using social media tools like Facebook, Instagram, and Vine to engage our adolescent students in sharing and amplifying what they are learning about their faith with others? How am I engaging my students to collaborate with others in social justice issues by using technology? I believe that our job today as faith facilitators is to engage our students in learning their faith, and using the digital tools that we have at hand to share what they have learned with others. If and only if I take time to learn more about Web 2.0 tools, will I be ready to engage others in learning and sharing their faith. This is a time to pioneer and share our best practices with one another. I invite you to consider how during the summer you will learn more about this digital world. Come back and share what is exciting you in this ever evolving digital world.